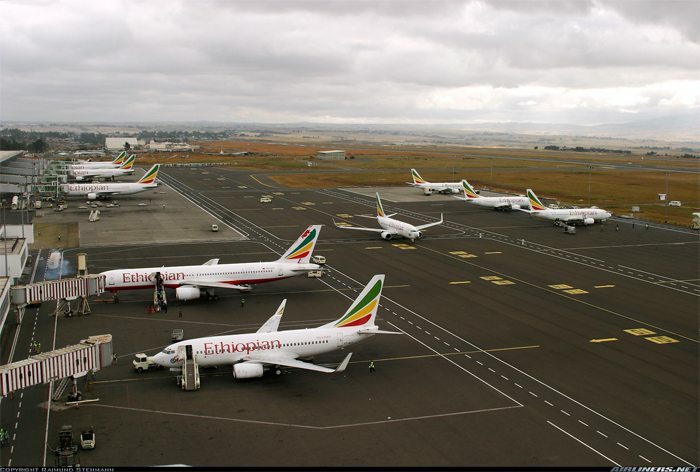 Ethiopian Airport Enterprise (EAE) is planning to build a US$ 2.4bn airport out of Addis Ababa in the next 10 years. The mega project will sit on a 144sq km of land and is expected to be located on a low land area, 70km South East of Addis Ababa. Commander Tsegaye Kaleab, deputy head of the Addis Ababa Bole International Airport expansion project said that the international airport is anticipated to accommodate a total number of 100 million passengers annually and will have four runways constructed. The Addis Ababa Bole International Airport has only one run way and is able to serve only seven million passengers per year. A highway that links Addis Ababa to the airport will also be constructed so as to ease congestion and traffic around the area. Tsegaye also added that the planned will not only be an airport but an airport city. “It is not only an airport that we are going to build. We will have an entirely new airport city,” he said. Some proposals in regards to the site locations have been made, three of them being near Modjo, Dukem and Teji towns. However, officials disapproved the locations and selected eight new sites. “Of these eight locations, five will be presented to the government for final decision,” Tsegaye said. The site location for the project has not yet been confirmed. This multi million development will be the second biggest infrastructure development project in Ethiopia after the US$ 4bn Grand Ethiopian Renaissance Dam that is under construction. The country has previously also initiated airport expansion projects such as the Addis Ababa Bole International Airport expansion project.